One of the perks of living in a city with a large theatre district is the ease at which you can see shows. 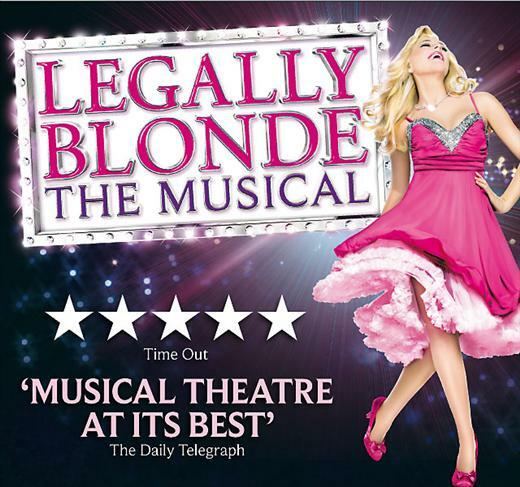 On Saturday afternoon, we buzzed over to Leicester Square and purchased two tix (half-price) for the 7:30pm show of Legally Blonde The Musical at the Savoy Theatre…and it was fantastic! This entry was posted in London Life and tagged broadway, theatre. Bookmark the permalink. Sounds like fun-we liked the movie:)! Ha-ha-ha, Fran. How did you know? Those photos were taken at the Daffodil Festival…I was dressed up as a fried dough. Happy Birthday to you….you are not “Legally Blond” but our wishes to you are only happy ones for a very special Birthday Girl. Thank you, Marcia & Dave!